A new study, published in the American Journal of Clinical Nutrition, analysed the carbon footprint of what people consume in a day. It was found that diets that are more climate-friendly are not only good for our environment but are also quite healthy. From the Mediterranean diet, paleo diet and ketogenic diet to raw food diet, plant-based diet and fast diet - there were many diets that made to the list of most popular diets in the previous years, for not only their uniqueness but also for their health-benefiting properties. One such unique diet is low-carbon diet, which refers to making better lifestyle choices to eliminate the greenhouse gas emissions (GHGe), resulting from consumption decisions. A new study, published in the American Journal of Clinical Nutrition, analysed the carbon footprint of what more than 16,000 Americans consume in a day. The researchers, from Tulane University, found that diets that are more climate-friendly are not only good for our environment but are also quite healthy. The researchers compared the environmental impact and nutritional value of various American diets using real-world data about what Americans say they are eating. "People whose diets had a lower carbon footprint were eating less red meat and dairy -- which contribute to a larger share of greenhouse gas emissions and are high in saturated fat -- and consuming more healthful foods like poultry, whole grains and plant-based proteins," said lead author, Diego Rose. Since the production of food is a major contribution to climatic change, researchers from Tulane and the University of Michigan studied the impacts of Americans' daily dietary choices on climate and health. They built an extensive database of the greenhouse gas emissions related to the production of foods and linked it to a large federal survey that asked people what they ate over a 24-hour period. Researchers categorised and ranked people's diets by the amount of greenhouse gas emissions per 1,000 calories consumed and divided them into five equal groups. Then they rated the nutritional value of foods consumed in each diet using the U.S. Healthy Eating Index, a federal measure of diet quality, and compared the lowest to the highest-impact groups on this and other measures. It was found that Americans in the lowest carbon footprint group consumed a healthier diet, as per the U.S. Healthy Eating Index. However, these diets also comprised some low-emission items, which are not healthy like added sugars and refined grains. Moreover, there were lower amounts of important nutrients too like iron, calcium, and vitamin D. This was because they were not consuming more of meat and dairy products. The researchers found that overall diets in the lowest impact group were healthier, but not completely. Rose said, "This is because diets are complex with many ingredients that each influence nutritional quality and environmental impacts." "This explains the nuanced relationship we observed between these outcomes," he added. On the other hand, diets in the highest impact group were accounted for five times the emissions of those in the lowest impact group. The highest impact diets had greater quantities of meat, dairy and solid fats per 1000 calories than the low-impact diets. Overall, the high-impact diets were more concentrated in total proteins and animal protein foods. 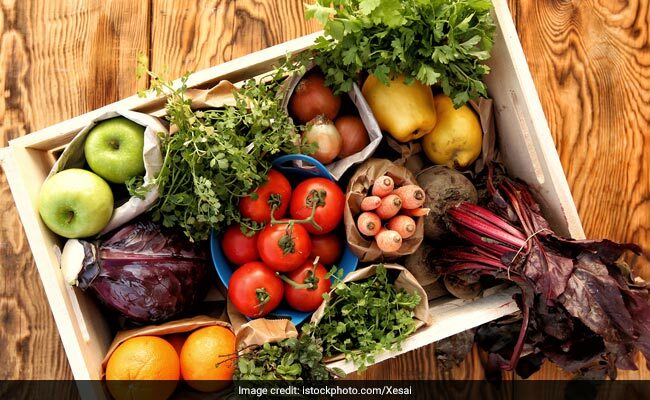 Researchers hope that the study will help the people and policymakers to recognise that improving the quality of our diet could also help the environment.